You may look the other way if what you want is a snazzy, eye-catching phone. The Uhans K5000 is instead intended to be a mobile phone that will survive more shocks and knocks. The construction features plastic and rubber, a combination that partly contributes to the 14.2mm thickness. Uhans K5000 has IP68 certification for water and dust resistance. The display has a diagonal size of 5 inches and an HD resolution of 1,280 x 720 pixels. Lying on top is Corning Gorilla Glass 4 for protection. The Uhans K5000 houses a 13MP primary camera featuring a Sony Exmor RS sensor. Features include autofocus, face detection, HDR and continuous shooting. The shooter captures Full HD (1080p) videos at 30 frames per second. You can as well expect decent selfies from the 5MP front facing snapper. Onboard storage is respectable at 32 GB and expandable using a microSD card. An octa-core MediaTek MT6753 processor is at the centre of performance. It pairs with an ARM Mali-T720 GPU and runs at a maximum speed of 1.3 GHz. While the processor speed may not be awesome, 3 GB of RAM should help ensure you still enjoy decent performance. Uhans K5000 runs on Android 7.0 Nougat operating system, which looks good for user experience. The Uhans K5000 also looks to impress in terms of battery life. It packs a huge battery with 5,000mAh capacity. With the specs, you may expect up to 12 hours of uninterrupted usage on a charge. There is also support for fast-charging. There is a fingerprint scanner among the available sensor options. The Android phone offers dual SIM card slots. You can also enjoy super fast mobile data speeds with 4G LTE support. Uhans K5000 is not available in Nigeria and Kenya, but when available you can buy the smartphone from Jumia in both countries. It is currently on presale on Gearbest priced at around $150. Uhans K5000 Price in Nigeria is expected to range from 55,800 Naira to 85,000 Naira. 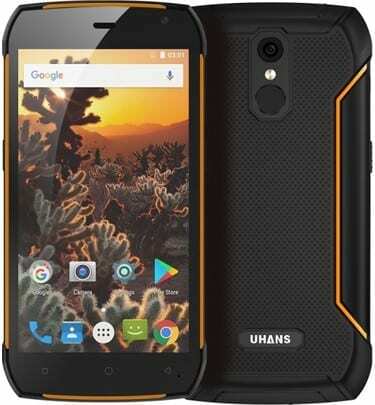 Price of the Uhans K5000 in Kenya is expected to start at around 17,800 KSh.